This plastic shower toy will not only raise the fun of your baby’s bath time, but it’s kid-friendly design will also help them become familiar with the often at-first intimidating feel of a refreshing shower. 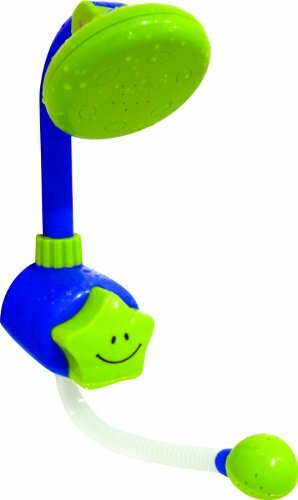 The Koo-Di squirty shower toy can be affixed to any surface using the suction cups on the back. If your little one presses the smiley face when the inlet is dropped in water, then their face will light up as they find themselves controlling the shower’s spray.